Here in the offer only the small plug pants to buy individually! 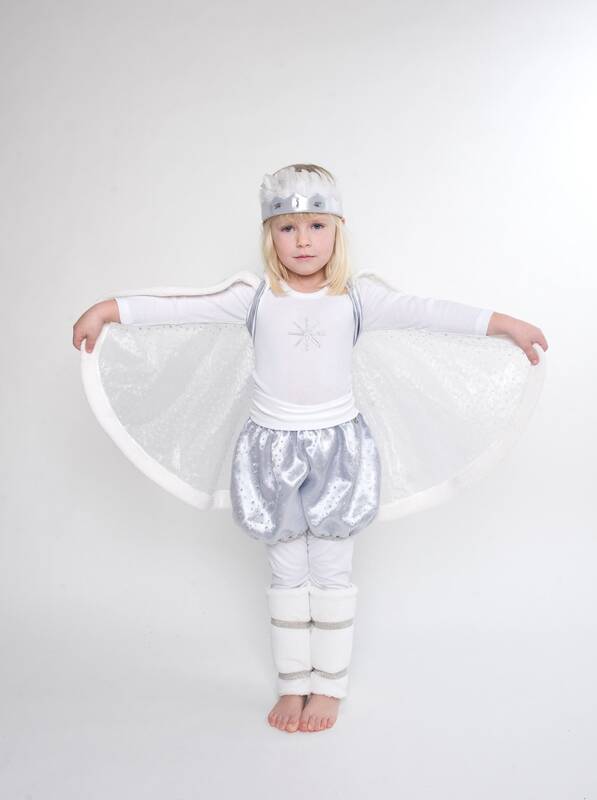 Our response to "Frozen, Elsa and Co." ... a little snow princess! 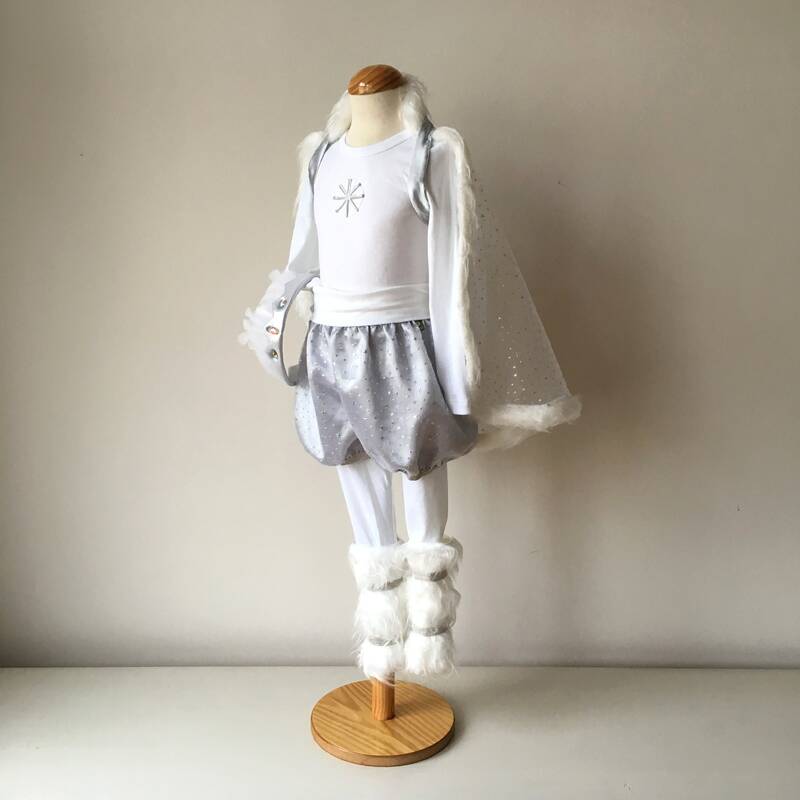 White and silver comes our snow flake, with a cape of shimmering white organza with small sparkling silver stars and cuddly white fur collar, a pair of small plug pants made from the same organza, lined with silver satin that goes well over our white Leggins fits. 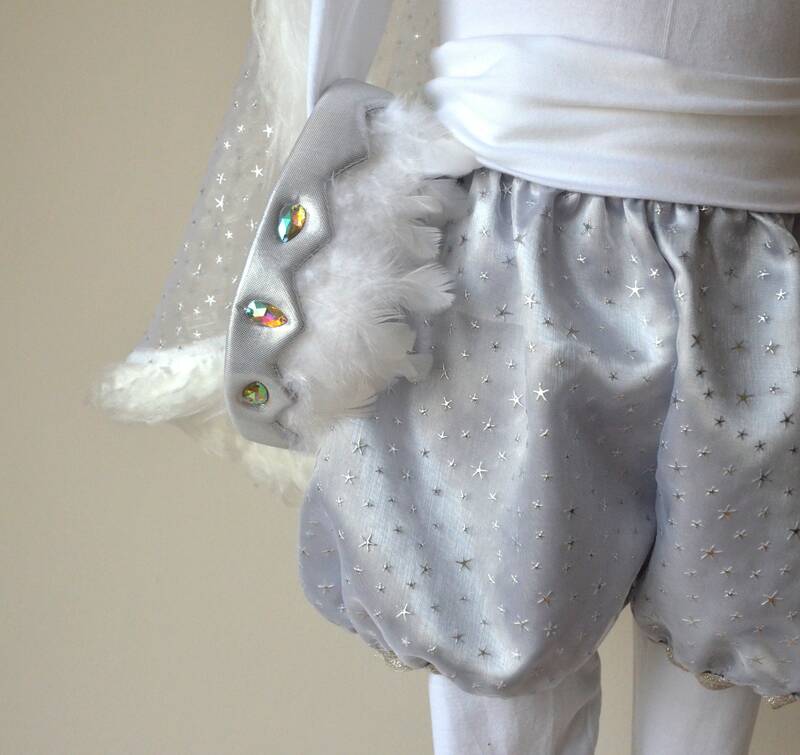 The finish is the fine silver crown with white feathers and glittering stones ... and damits does not get cold in the winter forest, plus a few white fur gam bags. 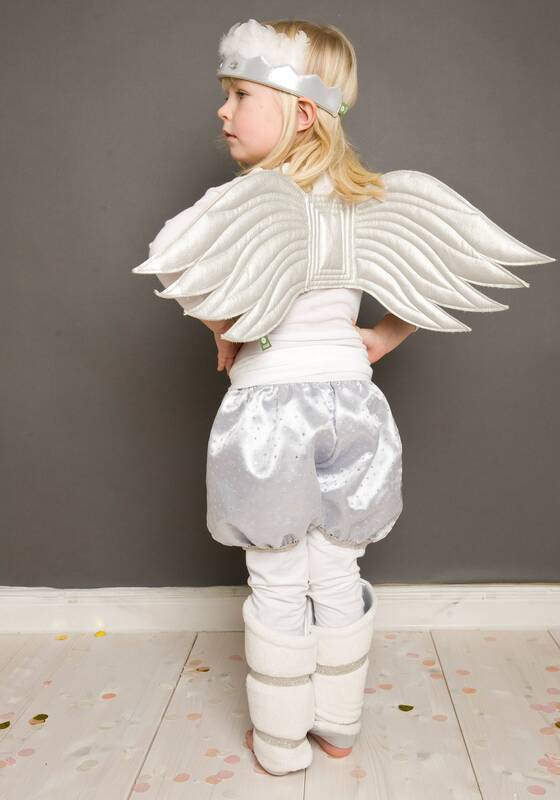 Please specify in checkout the desired size (2-5 years or 6-9 years).